Hot off an incredible release in the FitMax fat burning drink (see our FitMax review – they nailed the taste! 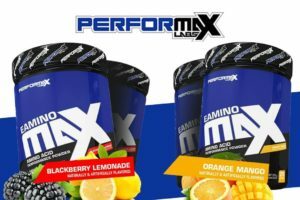 ), Performax Labs is back on a hot streak! Their most recent product, EAminoMax, is the next in line on the PricePlow chopping block. Will this enhanced-intra-workout product be up to their usual standard? There’s only one way to find out. More complete proteins… and then some! There’s “sports drinks”, and then there’s performance-based drinks for smart athletes that actually do more. EAminoMax is the latter! EAminoMax (pronounced “E-Amino-Max”) is not a reinvention of the wheel. It’s a full-spectrum amino-acid product with added goodies at a decent solid price-point. 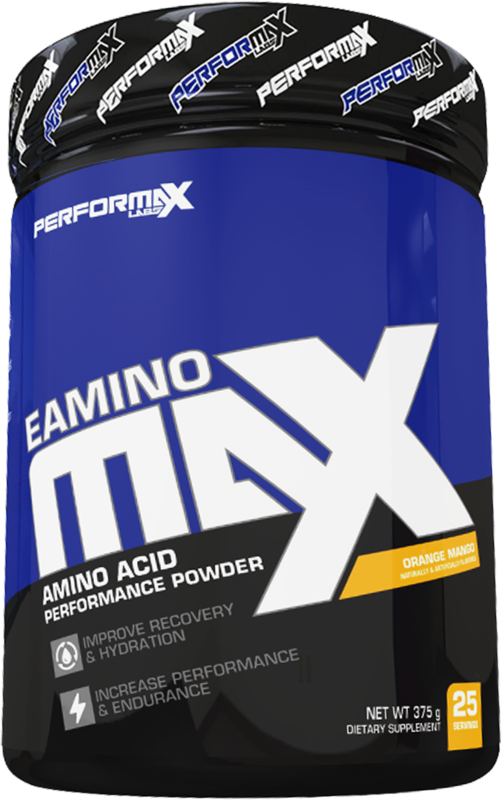 The biggest difference between EAminoMax and more established BCAA products is that EAminoMax includes all the essential amino acids (EAAs). Research has shown time and time again that complete proteins like EAA+BCAA are better than BCAA alone, so we love this trend, and are happy to see Performax actually have two products attacking this market. In addition, Performax Labs snuck in a few of our favorite ingredients, including potassium-heavy electrolytes. To us, Performax Labs is trying to create a “super” sports drink, but isn’t even saying so. Not only are the essentials dosed well, but look at those bonus goodies! 2g LCLT? 1.5g HICA?! Clinical benefits! Leucine, isoleucine, and valine are the amino acids that fall under the “branched-chain” moniker. Since the benefits of supplementation come from taking all three together, analyzing BCAAs a single “ingredient” makes the most sense. Despite the added essential blend, they’re still focus of EAminoMax, after all. And EAminoMax contains the highly-trusted 2:1:1 ratio. 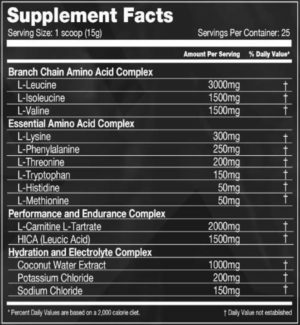 Most of the valid research on BCAAs available stick to a 2:1:1 ratio, with isoleucine and valine at half of leucine’s dose. Being a science-driven company, this is no surprise from Performax, as they stick the available research rather than throwing in weird ratios to look innovative. The BCAA’s present in EAminoMax will help you recover faster, decrease the time you take to recover between your sets, and may even slightly improve your ability to oxidize fat,[1,2] assuming proper diet and hard training. We also love them for the endurance benefits, which is why we consider drinks like this to be better than traditional “sports drinks” that have no proteins or aminos inside. Amino acid supplementation typically works best when a few acids are taken simultaneously (save for leucine, which has some benefits on its own). EAAs are a prime example of this rule of thumb. Performax Labs must have read our last few reviews on their competition as they disclosed the dose of each acid present in EAminoMax! We can’t guarantee BOGOs all the time, which is why you need to sign up for our Performax Labs news and deal alerts! It’s also a ketogenic amino acid, which has drawn interest of keto dieters alongside leucine. Because of their inability not to convert to glucose, we’re happy to see both of these aminos highest-dosed in their class to help balance out all of the other aminos that can convert to either ketones or glucose. Phenylalanine is eventually transformed into tyrosine, one of our other favorite supplement ingredients. Tyrosine helps the body produce dopamine, epinephrine, and norepinephrine. Expect phenylalanine to help you get in the zone during your training sessions. Conversions like these are why we love getting all the EAAs – you miss out on small opportunities with BCAAs alone. Threonine is an essential component of serine and glycine and plays an important role in stimulating muscle protein synthesis, so have some on the ready in your bloodstream and avoid having “anabolic bottlenecks”. Did you know that Performax Labs has never had a BCAA supplement? Our thinking — this is a science-based company, and they probably knew that full amino profiles were far superior… so they launched IntraMax (discussed below) and waited until their flavor game was good enough to handle these EAAs! Well-played! Tryptophan is an ergogenic part of an EAA complex. It helps with pain tolerance which could translate to more intense anaerobic sessions. It may also help with mood by providing a serotonin boost. Don’t fret with all the Thanksgiving trytophan nonsense, this isn’t a dose that would put you to sleep (also realize that plenty of other foods have more of this amino than turkey, but that’s another story). Histidine is beta-alanine’s best friend, as it’s the other half of carnosine production. If you’re histidine deficient, you may not be experiencing the most endurance that your body is capable of. Methionine acts an antioxidant that will protect your body during times of stress – like weight training! It is also eventually converted to L-taurine or L-cysteine, two acids that have also been shown to boost performance. 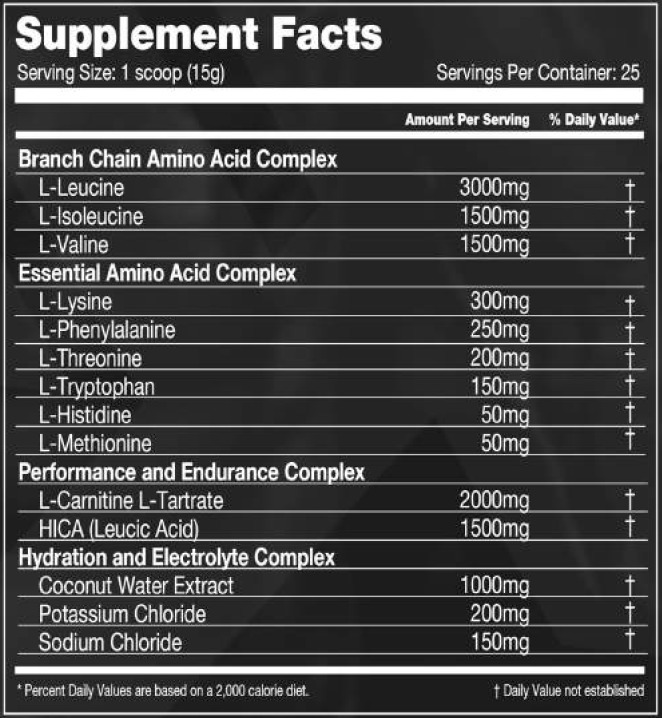 LCLT is the form of L-Carnitine that you want if you’re into building muscle and burning fat! EAminoMax provides a perfect dose of L-Carnitine L-Tartrate, or LCLT for short. This is the carnitine that athletes should use for performance. There is evidence supporting the notion that LCLT may enhance muscle building while lowering delayed-muscle-onset-soreness. [8-9] Note that there are other forms of carnitine used for other purposes (like ALCAR for focus, as it crosses the blood brain barrier), but if you’re interested in cognitive gains, you should be checking out NootropiMax anyway. 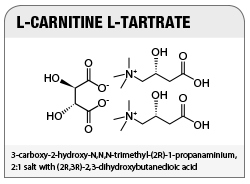 Given carnitine’s role in fat metabolism, supplementation will also provide welcome fat-burning as a bonus. [10-11] As a finishing touch, it may even enhance your body’s ability to promote improved androgen receptor density. After quite a hiatus off the market, HICA is back! And in this case, it’s back with a serious dose! Also referred to as leucic acid, is an underutilised and under-studied leucine metabolite. While it is less-sought by researchers than leucine and HMB, the science that is available shows that HICA may be anabolic. While that should be enough to sell you on HICA, it may also reduce DOMs. Less soreness may mean more volume in your next session, which is huge for athletes who can’t have too many “off days”. This graph from the ground-breaking HICA study shows the clear differences adding HICA can have on your overall lean mass after only 4 weeks of use! The dose here is far above average — 1.5g is the clinical dose, but note that the study used 500mg three times a day, whereas you’re likely getting all of your HICA in one shot with EAminoMax. Fine by us, as we’re using this around our workout, the time want aminos like this anyway. Discussions like these are why we’d love to see more research on the metabolite, but for now, we’re just thankful that someone put a real dose in. Coconut water is a natural source of potassium, an electrolyte that athletes may be deficient in during and after exercise. Potassium defiency for athletes is bad news – if you’re cramping a lot, it’s time to look into it and even consider getting tested. Due to the performance-based nature of EAminoMax, throwing in a non-trivial dose of coconut water is a good move by Performax Labs. A serving will ensure that you’re properly hydrated throughout the day and during training. It may even provide some of those sweet sweet water-based pumps we all know and love. You know why these are here. 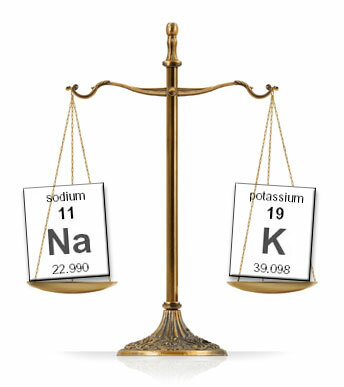 Sodium and potassium are electrolytes essential for your body’s functionality. You lose a ton of both when you sweat, and as mentioned above, potassium is a serious game for athletes. EAminoMax should keep you in the game with both (but again, it depends on your potassium status). If you ever feel like an irritable piece of garbage after a workout, electrolytes may help you return to the world of the living. Sometimes it’s the simple things! Remember, all of these amino acids do contain some calories, even though the FDA says we can’t label them as such! Back in the day, with any product containing every EAA (including that sulfur-smelling methionine), you had to set your flavor expectations low — EAAs are notoriously hard to flavor. But rumor has it that the gents over at Performax Labs got it right. They talked a big game with FitMax, and that came through with flying colors. Anyway, Orange Mango (the FitMax flavor we had) and Blackberry Lemonade are the initial offerings for EAminoMax. But doesn’t Performax Labs already have IntraMax? 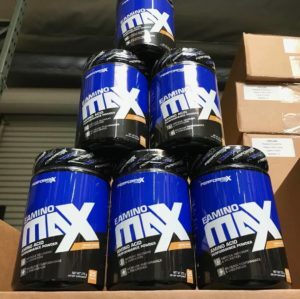 In the intro area of this article, we mention Performax Labs having two products with complete essential amino acid profiles — the other one is IntraMax. So when do you use each one? IntraMax is far more for muscle building with Creatine and Betaine and is exclusively used for Intra during weight lifting. EAminoMax can be used Intra Workout, during cardio, between meals to increase amino intake, etc. While they both contain aminos and both could be taken intra workout, they are quite different! Basically, IntraMax is for the lifters chasing gains, while EAminoMax is further solidified as our all-around amino performance drink! Meanwhile, the team dropped some hints that something else will be changing in IntraMax, which will further widen the gap across the two! Stay tuned to our Performax Labs news alerts or sign up below to find out when that happens. Most people will be happy with just one! EAminoMax is what a real zero-carb sports-drink should be like. Time will tell when we review the flavor on the PricePlow YouTube channel, but looking at this label, it’s hard to say anything negative about it at all! While we always ask for more HICA research, we are happy this ingredient has found its way back to the industry, since there seems to be something great to it. Meanwhile, Mike has been droning on about potassium when training – especially when keto dieting or using all those sodium-heavy BHB supplements – so having a potassium-heavy electrolyte blend here is perfect. 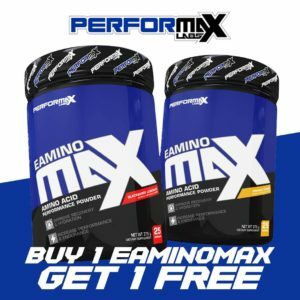 So if you sweat a ton during your cardio sessions, are an athlete who can’t afford to miss practice or be sore for long, or are just ready to dump the BCAA for a full-spectrum EAA, then EAminoMax may be your new best friend. Comments | Posted in Supplement News | Tagged Amino Acids, Coconut Water, Essential Amino Acids, HICA, Histidine, Intra Workout Supplements, Isoleucine, L-Carnitine L-Tartrate, LCLT, Leucic Acid, Leucine, Lysine, Methionine, Performax Labs, Phenylalanine, Potassium Chloride, Sodium, Threonine, Tryptophan, Valine.